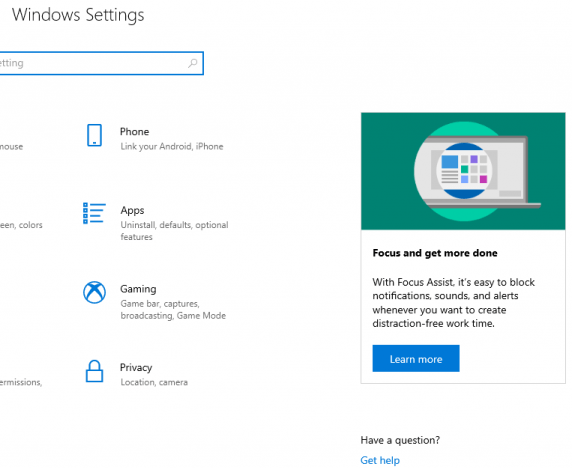 In Windows 10, Microsoft may occasionally offer you various suggestions in the Settings app. 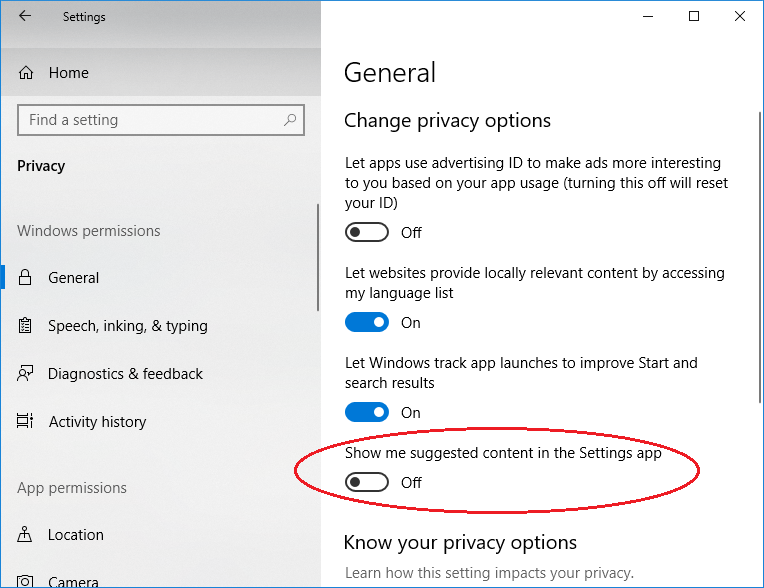 These suggested contents help Windows 10 users to discover new features of the operating systems, promotes new apps that you may like, or suggest new contents, and they can come in a variety of formats, including advertising forms. If you’re not fond of the “ads” within the Settings app, you can disable the suggested content in the Settings app. This tutorial shows you how to turn off or turn on the showing of suggested content in the Settings app. The setting applies to your own Windows 10 user account. On the left pane, click or tap on General. Toggle the slider to turn Off (disable) or turn On (enable – default value) the setting named Show me suggested content in the Settings app. Set the value data to “0” to turn off subscribing to suggested content, or “1” to turn on subscribing to suggested content.